FOLDING - Trolleys on dog show. All PetMobil is folded! 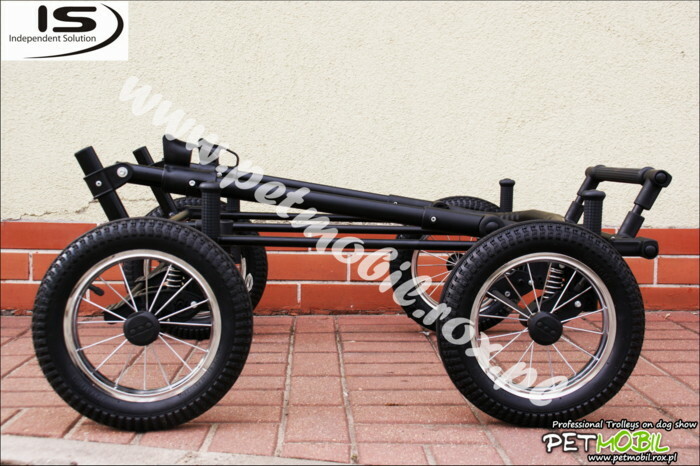 Folded PetMobil has about 32 cm height, we can also take off wheels which gives us lower frame trolley up to 27cm. Wheels are very easy to take on and take off and it takes just a minute.